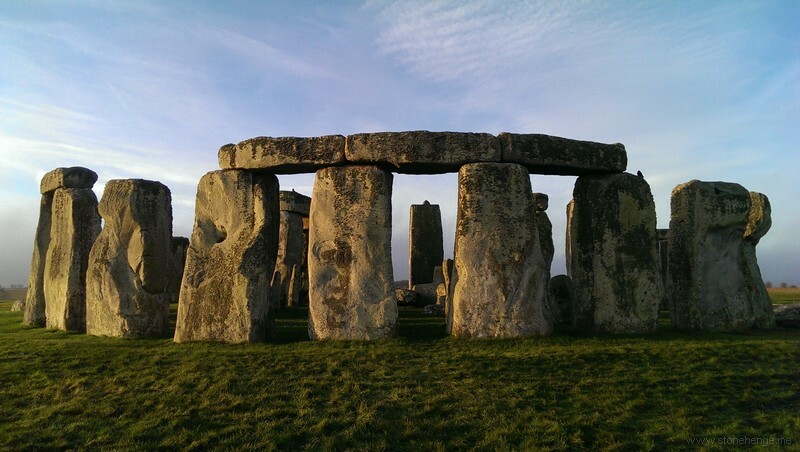 In accordance with Decision 41 COM 7B.56, the United Kingdom State Party has produced a State of Conservation Report (SOCR) for the Stonehenge, Avebury and Associated Sites World Heritage Site. This SOCR updates the Committee on changes made to the evolving A303 trunk road proposals in response to the 2017 WH Committee decision and the technical advice of the June 2017 Advisory Mission report. This updates the report which was submitted to the World Heritage Centre on March 30 2017. Specifically, in response to the Committee’s decision, this report provides updated information on the proposed A303 improvement within the WH property, including changes made to protect and transmit the OUV of the property through the scheme design and associated mechanisms. It provides information on road scheme options to which the Committee recommended further consideration should be given and reports on progress made in implementing the recommendations of the 2015 and 2017 Advisory missions. The report is structured according to the format provided by the World Heritage Centre. The clauses of the World Heritage Committee decisions are given in italics and indented. The response of the State Party is not indented and does not use italics. 3. Takes note with satisfaction of the management achievements, and progress with implementation of previous Committee Decisions, to address protection and management issues identified in the Statement of Outstanding Universal Value (OUV) for the property. Since the 2017 meeting of the World Heritage Committee, a third Advisory mission was invited by the State Party and took place from 5th to 7th March 2018. The purpose of the Advisory mission was to enable the State Party to receive the views of the World Heritage Centre and ICOMOS on the scheme for the proposed A303 road improvement which is the subject of public consultation at the time of writing. In response to World Heritage Committee Decision 41 COM 7B.56, the feedback from UK heritage bodies and from the wider UK heritage sector and from civil society, concerning the potential negative impact upon the OUV of the WH property of the 2.9km tunnel options consulted upon in January-February 2017, Highways England significantly modified the proposed scheme. a new junction just outside the SW corner of the property at The Park, where geophysical survey has identified a previously-unknown Bronze Age round barrow cemetery. The revised scheme proposal removes an adverse impact on the setting of the Normanton Down barrow cemetery by positioning the western portal in a less obtrusive location to the north-west of the barrow group. of the Normanton Down barrow group. The new route from the western tunnel portal to the western edge of the property has been designed to be in a c. 8m deep cutting, with vertical sides and rounded grassed shoulders. This option would minimise the land-take for the new road within the WHS, while the depth of cutting will remove the visual intrusion of the moving traffic, particularly heavy goods vehicles, from the sightlines between many of the groups of sites and monuments that convey the OUV of the property. recently identified Diamond group of sites and monuments that convey the OUV of the property. The new junction 600m beyond the western boundary of the World Heritage property and the new A303 road within the property will all be free of lighting (although the interior of the tunnel itself will need to be lit), thus having a positive impact upon dark skies and the appreciation of astronomy compared with the current surface road and Longbarrow Roundabout. The site of the current Longbarrow Roundabout and the redundant sections of the current A303 both within and without the property, plus the redundant sections of the A360 north and south of Longbarrow Roundabout, will be removed of all current infrastructure and returned to traditional Wiltshire chalk-land byways for walkers, cyclists, and horse riders. 2017 location further protects the Stonehenge Avenue, which is now located c.150 metres west of the portal site (and whose previous location in the 2017 consultation was based on the recommendation of the 2015 Advisory mission). It will also completely remove the intrusive impact of the current surface road and its heavy traffic when viewed from Woodhenge and Durrington Walls henge. From the eastern portal to the eastern boundary of the World Heritage property, the new scheme proposal lies almost entirely within the existing highway boundary and will largely re-use the existing highway infrastructure. Highways England to the 2018 Advisory mission and is summarised below. Heritage Centre/ICOMOS Advisory Mission, Professor Sir Barry Cunliffe, said that, given the high archaeological potential of the land to the south of the property route F10 would likely impact more heavily on significant archaeology of the Neolithic and Bronze Age periods, compared to the known, low potential for significant archaeology relevant to the period of OUV within the footprint of the currently proposed scheme within the WH property. He also referred to the boundary having been established over thirty years ago and that it would be the subject of review. component of the WH property. In these circumstances it is almost inevitable that the current surface A303 through the WHS would need to remain open to traffic to provide the required connectivity between local communities and to alleviate pressure on the local roads around the boundaries of the property. terms of both its condition and the public appreciation of its full range of sites and monuments. In natural environment terms, route F10 would have an impact upon the Rivers Avon and Till Special Area of Conservation (SAC). The SAC is protected by the European Union Nature Directive and benefits from the highest level of statutory protection. The State Party understands that an EU level designation does not equate to the same level of significance as a WHS but nevertheless the UK government is under a statutory duty to protect sites subject to an EU wide Directive. Route F10 would involve two substantial viaducts and embankments crossing the two river valleys where they are deeply incised and where the special qualities of the SAC inscription are most strongly expressed. Longer tunnel options – Highways England’s work to look at longer tunnel options has shown why a longer tunnel option scheme is not deliverable. remain on its existing alignment at the western boundary of the WHS property. As well as reducing the benefit for the Winterbourne Stoke Barrow Group by the retention of the A360 in its current alignment, the location of the new junction so far west of its optimum location would mean that local communities would still suffer from rat-running traffic. The substantial additional cost entailed in this would make it unlikely ever to be achieved, particularly when assessed in relation to what the State Party sees as the limited additional heritage benefits that would be delivered by this option above those offered by the current scheme. Roundabout and at Solstice Park, wholly disrupting the operation of the road network both locally and more widely, with consequent adverse impacts on nearby communities. As with the western extension, while the eastern extension of the tunnel could secure some degree of heritage benefit, the stated disadvantages and additional cost mean that this would be an extremely poor value for money option. It is not an option that could be supported by the State Party. A longer tunnel with the eastern portal further east than that shown in the proposed scheme but still within the WH property would cause greater impacts on nationally-important designated sites such as Vespasian’s Camp Iron Age Hillfort and the Grade II* Registered Park & Garden (RPaG) at Amesbury Abbey. In addition it would impact negatively on the nationally-important Mesolithic site recently discovered at Blick Mead, just east of Vespasian’s Camp and within the RPaG. Most significantly, but not related to heritage, a tunnel portal further east within the WH property would harmfully impact the groundwater flow to the River Avon SAC and would not secure planning consent. provides advice on matters relating to the OUV of the property. The Committee also includes representatives of the Heritage Management and Advisory Group (HMAG) who are members on behalf of their respective organisations: Historic England; English Heritage Trust; National Trust and Wiltshire Council. The implementation of studies into future visitor behaviour after the removal of the existing A303, including sustainable tourism management and ‘masterplanning’ for the future interpretation of the WHS and transmission of its OUV have been commissioned and a landscape-wide strategy is currently being developed. A legacy for the WH property, based on the vision enshrined in the 2015 WHS Management Plan is being developed in partnership with the WHS Coordination Unit and stakeholders. This is designed to produce proposals to achieve significant benefits for the WH property which will be considered for inclusion with the future scheme consent application. A wider consultative engagement with stakeholders and civil society has been achieved through the establishment of a Local Community Forum and by establishing scheme links and liaison with stakeholder groups such as the Avebury and Stonehenge Archaeological and Historical Research Group (ASAHRG). In addition direct stakeholder contact has been set-up as an integral part of Advisory mission business, with a substantive face-to-face session taking place as part of the latest, March 2018 Advisory mission. The State Party is committed to maintaining substantive dialogue with the WH Centre and its advisory bodies through an ongoing and iterative series of advisory missions at appropriate junctures in the development of scheme proposals. The latest, third, Advisory mission has just concluded, having run from the 5th to 7th March 2018. Consideration will be given to further advisory missions as appropriate. The State Party has secured the adjustment of the consent and other statutory processes for the A303 trunk road so that the advice of the March 2018 Advisory mission and the decision of the 2018 WH Committee will be received and thoroughly considered before the A303 proposals are submitted as a Development Consent Order (DCO) application, likely to be in the Autumn of 2018. Likewise, any further decision by the WH Committee at its 2019 session will also be thoroughly considered by the State Party ahead of any decision on whether to grant the scheme it’s Development Consent Order. There has been progress in several areas that will benefit the World Heritage property over the twelve-month period since the Committee last considered the state of conservation of the property in 2017. There remain ongoing challenges in areas that have been identified in the Protection and Management Requirements section of the Statement of OUV and in the most recent completed cycle of Periodic Reporting for Europe in 2013. Positive developments are summarised below as well as the ongoing challenges including the proposals for the improvement of the A303. The World Heritage Site Management Plan Policy 8b underlines the need to seek adequate funding for the coordination of the WHS and the implementation of the Management Plan. The World Heritage property partners are in the process of establishing an independent trust. The trust is designed to ensure that the arrangements for the overall management of the World Heritage property and the delivery of the Management Plan are both adequately resourced and sustainable. This is particularly important in a time of reduced public sector funding in the United Kingdom where diversifying income is a key to sustainability. The current World Heritage Site Coordination Unit relies solely on public funding from Wiltshire Council and Historic England. World Heritage property partners, with assistance from a Heritage Lottery Fund Resilient Heritage grant, are supporting an evidence-based strategic development programme which will include the transition of the planning, coordination, monitoring and advice function to an independent trust. Strengthened governance and revitalised relationships with partners and stakeholders will underpin a trajectory towards sustainable growth. The establishment of an independent trust will greatly enhance the potential to raise funds and thereby add substantial value to the World Heritage property, its partners and the wider community. The additional funding will enable the World Heritage Site Trust to progress significantly with the implementation of the Management Plan and deliver the ambitious landscape scale strategies envisaged in it. Related interpretation projects will encourage greater understanding of the significance of the whole World Heritage property and deeper engagement with its protection and management. will also provide advice on the nature of evidence likely to be required from developers. The study will be informed by the Statement of OUV and identified attributes as well as Historic England’s Guidance on the Setting of Heritage Assets Historic Environment Good Practice Advice in Planning Note 3 (Second Addition) 2017. This sets out guidance against the background of the National Planning Policy Framework and related guidance in the Planning Practice Guide on managing change within the setting of heritage assets. The ICOMOS Guidance on Heritage Impact Assessments for Cultural World Heritage Properties (2011) will also inform the study. These existing documents today form a robust basis for the assessment of impact on the World Heritage property through change in its setting and inform the approach to assessing impact in current development proposals. The boundary review at Stonehenge will be progressed following completion of the setting study. of the attributes of OUV by the partners engaged in both parts of the World Heritage property including national organisations and local landowners and farmers. The results of the Condition Survey show that the two most significant threats to the physical remains that contribute to the OUV continue to be cultivation and burrowing animals. There has been a significant increase in the presence of the latter over the decade since the preceding condition surveys. Work to protect vulnerable monuments from damage by cultivation and from badgers and other burrowing animals are therefore two of the key priorities of the World Heritage Management Plan (2015). Agri-environment schemes remain the most effective response to protecting sensitive archaeology from damage through cultivation. These schemes are extremely important for protecting the physical remains and enhancing the setting of prehistoric monuments through measures such as grassland restoration and scrub control. At Stonehenge around 40% of the WHS landscape is in environmental stewardship helping to protect and/or enhance the setting of c. 500 historic features. At Avebury too around 40% of the WHS is in these schemes which benefit c. 300 historic features. Work on designing a brief for the World Heritage Property Burrowing Animal Strategy will continue this year. Funding will be sought to undertake the necessary baseline studies and, following a review of existing research, the design of an innovative landscape scale strategy for managing this impact. integrity, the condition and setting of monuments and the ease and confidence with which visitors and the local community are able to explore the wider property. At Stonehenge the A303 remains a problem. The current Highways England scheme and its ability to address these issues is discussed above in relation to the WH Committee 2017 decision. principles and specific outline schemes. World Heritage property where motorised traffic is currently causing damage to archaeology. 4. In conformity with Paragraph 172 of the Operational Guidelines, describe any potential major restorations, alterations and/or new construction(s) intended within the property, the buffer zone(s) and/or corridors or other areas, where such developments may affect the Outstanding Universal Value of the property, including authenticity and integrity. The Ministry of Defence has progressed with the planned development north of Stonehenge at Larkhill Garrison, which is part of the Rebasing 2020 project. The final location and design of this scheme has demonstrated sensitivity to the protection of the WHS and its setting. It is important that any additional or consequential development continues to take into account the need to protect the World Heritage property and its OUV. ‘centre of excellence’ for its UK business. A possible 1500 new jobs have been discussed. The developers have been asked to produce an HIA following ICOMOS guidance. It is essential that any proposal brought forward identifies and adequately mitigates any harmful impacts on the World Heritage property and its OUV. engagement is required to ensure infrastructure planning is coordinated to minimise intrusion in the setting of the World Heritage property and avoid harm to OUV.